Just steps to the water and village, these luxurious accommodations offer 3 bedrooms, 2 1/2 baths, panoramic ocean views, private ocean-view patio with gas barbecue, gas fireplace, large jetted bath in MBR, gourmet kitchen and entertainment center. 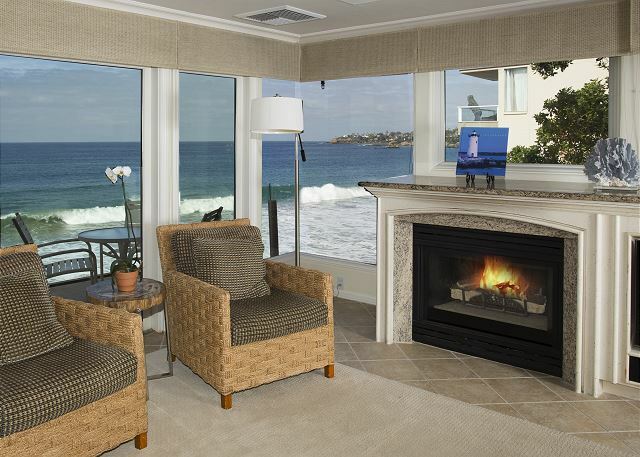 Just steps from the sand and a short walk to all that Laguna has to offer these 1 bedroom, 3/4 bath accommodations offer a gourmet kitchen, a private patio, gas barbecue, an entertainment center, on-site laundry facilities, and enclosed garage parking. Just steps from the sand, Villa Lanai offers a peek ocean view together with 1 bedroom and 1 bathroom, a sleeper sofa, a gourmet kitchen, a private patio with gas barbecue, an entertainment center, on-site laundry facilities, and enclosed garage parking. Just steps to the sand and a short walk to the Village, these one bedroom, one bath accommodations offer a partial ocean view, gourmet kitchen, jetted bath, entertainment center, enclosed garage parking and onsite laundry facilities. 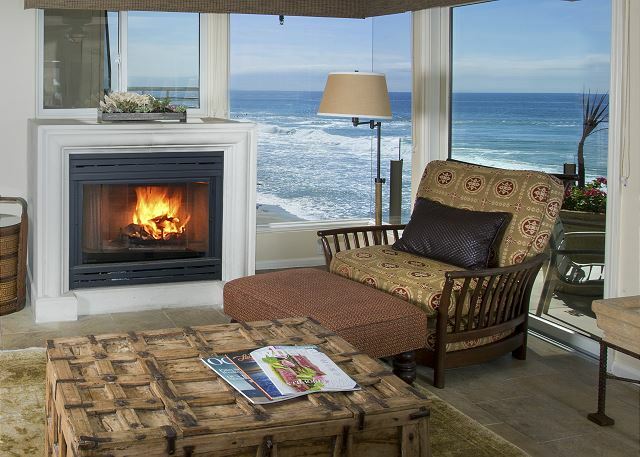 Just steps to the sand, these luxurious, oceanfront accomodations include 2 bedrooms, 1 3/4 baths a sleeper sofa, panoramic ocean views, two private ocean view decks, gas barbecue, large jetted bath in MBR, entertainment center and enclosed garage parking. Villa Antigua offers unparalleled oceanfront and coastline views. 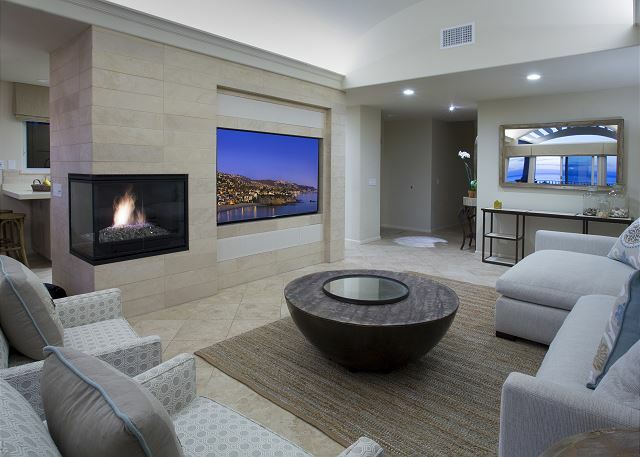 Your home away from home includes 2 bedrooms, 1 3/4 bathrooms, private ocean-view deck, gas barbecue, gas fireplace, jetted tub in MBR, entertainment center and enclosed garage parking. Villa Martinique offers luxury and premium oceanfront views with 2 bedrooms, 1 3/4 baths, gourmet kitchen, private ocean-view deck, gas barbecue and fireplace, jetted bath in MBR, entertainment center, and is just a short stroll to all that Laguna offers. Villa Seychelles looks directly over the crashing waves. The views from the living area, MBR and private deck are breathtaking. Guests will enjoy it's 2 bedrooms, 2 bathrooms, gourmet kitchen, gas barbecue, gas fireplace, & jetted tub in the master bath.